Reviewing Special K Protein Shake: Is this Product the Real Deal? When you lessen your intake of calories, you naturally lose weight. This is the principle that drove several companies to develop weight loss products such as meal replacement shakes. These protein shakes designed to be alternatives for a full meal are usually rich in proteins and low in carbs, which helps to decrease your consumption of calories. Currently though, the market is swamped with many kinds of protein shakes. This makes the process of choosing for the right brand more complicated. In this writing, we will focus assessing on one specific product that is getting more popular in the market. This is the Special K Protein Shake. In essence, Special K Protein Shakes are formulas designed to fit your breakfast nutritional needs. Aside from this, this meal replacement shake also enables you to have the control over your appetite, which effectively deals with your caloric consumption. Special K Protein Shakes have high protein content but low carbs. According to the company that developed and financed the production of Special K Protein Shake, this meal replacement is especially suitable for those individuals who are always on-the-go and don’t have sufficient time to eat properly in the morning. This product is delicious, sufficing your breakfast cravings, while also ensuring that you lose weight by using it on a regular basis. 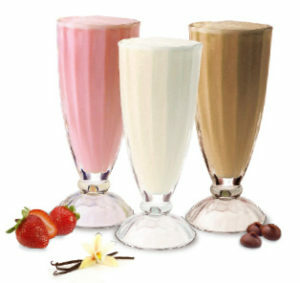 This meal replacement shake is available in three flavors: vanilla, strawberry and chocolate. Each one is a must-try. The company behind Special K Protein Shake states that the product has been illustrated to help alleviate hunger, which enables you to stay away from carbs. Do this every day and you’ll surely lose weight in the long run. The product’s manufacturer also has this online scheme called “Special K Challenge” to persuade people in trying Special K Protein Shake. Here, you will be assisted with suggestions, tips, and recipes to help you lose weight more efficiently. Which Company Manufactures Special K Protein Shake? Special K Protein Shake is manufactured by Kellogg’s. This company is internationally recognized for its wide range of cereal products. Now Kellogg’s has also started in creating new product lines such as the special K lines. These products are breakfast bars, crackers, cereals, and shakes. The company was built in 1906 by W. K. Kellogg. It has been operation for more than a decade and has since become an international household name for its various products. There are four crucial components in Special K Protein Shake’s formula – protein, sugar, fiber and fat. This is in addition to vitamins A, B and D, and minerals sodium, potassium, manganese, chromium and magnesium. The protein in the product’s formulation is from whey and soy. 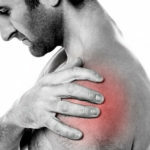 Their main function is for muscle growth and tissue restoration. In total, there is 10 grams of proteins in this product. On the other hand, the sugar content in Special K Protein Shake is higher than the protein content. It has 18 grams in total, which is somehow high for sugar. Nevertheless, the total calorie amount is 190, so it’s still fine. Lastly, the fiber in Special K Protein Shake sums up to 5 grams. Its main purpose is to slow down digestion and transport fat tissues outside the body. Special K Protein Shake promotes weight loss by lessening your consumption of calories. This does not happen overnight though. You need to take the product on a regular basis, so you also cut down your caloric intake on a daily basis. Eventually, you will notice weight loss after some time. This way, you don’t need to engage in any workouts or fasting, which both are exhausting and kind of saddening. So far we haven’t seen anything suggesting of a study on Special K Protein Shake. We only recognize the principle behind Special K Protein Shake’s features, that by decreasing caloric consumption, you also lose weight. Has it Received FDA Approval? There’s no information suggesting of an FDA approval. However, it is important to remember that Special K Protein Shake is only a packed good. It is not a form of treatment or even a supplement. If it’s the safety you’re concerned about, just consider the fact that Special K Protein Shake is made by Kellogg’s, a company that has been operating in the business for over a century. There’s no available information indicating of the presence of a money-back guarantee. However, there was a case before where the company agreed to give refunds to customers after recalling one of its products. This being said, Kellogg’s will give you a refund if you have a strong claim. What are the Upsides of Special K Protein Shake? What are the Downsides of Special K Protein Shake? There’s whey protein in Special K Protein Shake and whey protein can trigger bloating and cramping, but only when used beyond the recommended dosage. Overall, this doesn’t mean that you’ll feel these side effects after using the product, though there’s no harm in practicing caution when using Special K Protein Shake. On Amazon, a pack of Special K Protein Shake containing 6 bottles costs $29.94. This meal replacement shake is mostly available in online stores and supermarkets nationwide. Out of the 200 customer reviews on Amazon.com, 153 of these provided Special K Protein Shake a rating of 5 stars. Overall, the product earned 4.4 stars out of 5. If most people are satisfied with the product, chances are you will be, too. Special K Protein Shake – Is this Product Genuine? For one, Special K Protein Shake is a meal replacement shake that comes from an internationally recognized company. If your goal is to shed pounds through the reduction of your caloric consumption, Special K Protein Shake is the product that needs trying.